For more things to do, where to stay, ratings, and tourist information, refer to the Kilimanjaro National Park day trip planner. 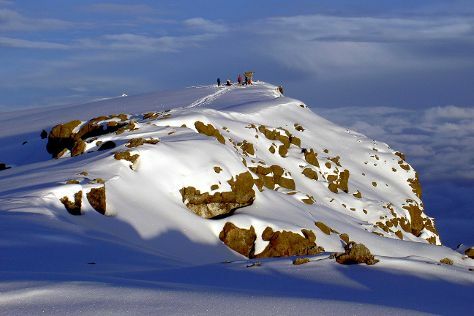 Philadelphia, USA to Kilimanjaro National Park is an approximately 23.5-hour flight. You'll lose 8 hours traveling from Philadelphia to Kilimanjaro National Park due to the time zone difference. Wrap up your sightseeing on the 3rd (Mon) to allow time to fly to Tarangire National Park. Start off your visit on the 4th (Tue): take in the dramatic natural features at Tarangire National Park. For ratings, photos, other places to visit, and other tourist information, use the Tarangire National Park trip maker . You can fly from Kilimanjaro National Park to Tarangire National Park in 2.5 hours. Alternatively, you can do a combination of flight and taxi; or do a combination of bus and flight. 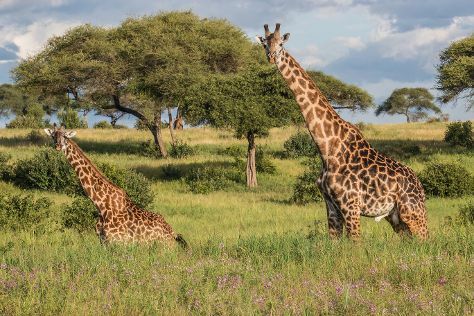 In September, daily temperatures in Tarangire National Park can reach 76°F, while at night they dip to 59°F. 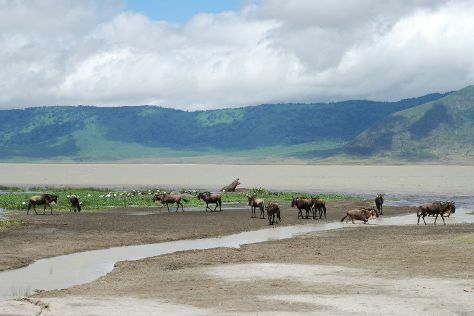 Wrap up your sightseeing on the 4th (Tue) early enough to drive to Ngorongoro Conservation Area. On the 5th (Wed), explore the striking landscape at Ngorongoro Crater. On the next day, make a trip to The Engare Sero Footprint Site. For reviews, maps, more things to do, and other tourist information, go to the Ngorongoro Conservation Area day trip site . You can drive from Tarangire National Park to Ngorongoro Conservation Area in 5 hours. On the 6th (Thu), you'll have the morning to explore before heading off to Serengeti National Park. Spend the 8th (Sat) exploring nature at Serengeti National Park. Spend the 9th (Sun) exploring nature at Seronera. There's still lots to do: tour the pleasant surroundings at Serengeti Hippo Pool. For more things to do, maps, ratings, and more tourist information, read Serengeti National Park vacation builder tool . Drive from Ngorongoro Conservation Area to Serengeti National Park in 4 hours. In September in Serengeti National Park, expect temperatures between 59°F during the day and 48°F at night. Cap off your sightseeing on the 9th (Sun) early enough to travel to Nungwi. Kick off your visit on the 10th (Mon): discover the deep blue sea with a scuba or snorkeling tour. Get ready for a full day of sightseeing on the next day: stop by blacklulu and then enjoy the sand and surf at Nungwi Beach. For more things to do, reviews, maps, and tourist information, you can read our Nungwi planner . Traveling by combination of taxi and flight from Serengeti National Park to Nungwi takes 3.5 hours. Traveling from Serengeti National Park in September, things will get much hotter in Nungwi: highs are around 86°F and lows about 71°F. Finish your sightseeing early on the 11th (Tue) to allow enough time to travel to Pemba Island. Kick off your visit on the 12th (Wed): stroll through Misali island. Here are some ideas for day two: kick back and relax at Vumawimbi Beach. For maps, traveler tips, more things to do, and more tourist information, go to the Pemba Island trip itinerary maker . Do a combination of taxi and flight from Nungwi to Pemba Island in 2.5 hours. Traveling from Nungwi in September, you will find days in Pemba Island are slightly colder (77°F), and nights are about the same (76°F). Wrap up your sightseeing on the 13th (Thu) early enough to travel to Zanzibar City. 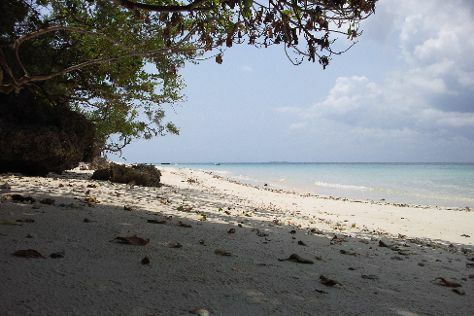 Take a break from Zanzibar City with a short trip to Paje Beach in Paje, about 1h 05 min away. There's lots more to do: head off the coast to Prison Island - Changuu Private Island, contemplate the long history of Mtoni Palace Ruins, take in the architecture and atmosphere at Old Slave Market/Anglican Cathedral, Stonetown, and admire the natural beauty at Forodhani Park. To find other places to visit, where to stay, ratings, and more tourist information, use the Zanzibar City driving holiday planner . You can do a combination of taxi and flight from Pemba Island to Zanzibar City in 1.5 hours. Traveling from Pemba Island in September, expect nights in Zanzibar City to be slightly colder, around 71°F, while days are a bit warmer, around 86°F. Wrap up your sightseeing on the 18th (Tue) to allow time to travel back home.